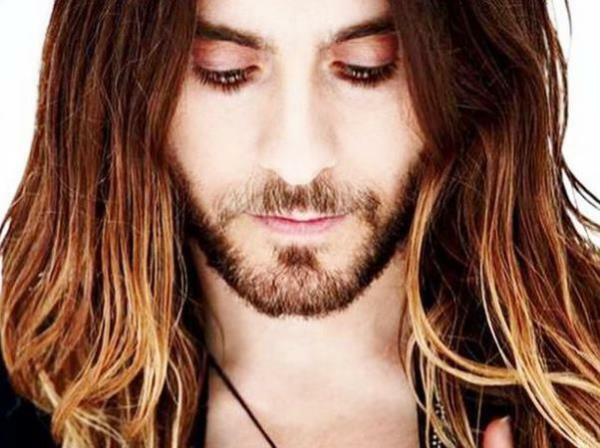 Jared Leto has chopped off his famous locks. The Dallas Buyers Club actor has sported long, ombre locks for the last few years. But the 43-year-old sent fans and style critics into a spin on Monday when he unveiled his new, short, fuzz-free look. “Should we? #SuicideSquad (sic)” teased director David Ayer on Twitter with a black and white photograph of Jared’s famous ponytail being held close to a pair of scissors. A few hours later, the deed had been done, and the man at the helm of the highly anticipated Suicide Squad movie unveiled the 30 Seconds to Mars star’s new do. “#SuicideSquad” he wrote simply next another monochrome shot of his star. In the image, Jared is covering one eye and his forehead with his hand, his fingers just brushing the top of his newly cropped do. He stares off into the distance as he also shows off his lack of facial hair, with his well-known beard being replaced by a clean shaven, chiselled jaw. Jared made the decision to drastically change his look so he can fulfil his duties as The Joker in the DC Comics movie. He will be starring alongside Cara Delevingne who will play Enchantress, Margot Robbie as Harley Quinn and Will Smith as Deadshot. The film is due for release next year, but Jared is fully immersing himself in the role, gaining weight as well as losing his locks. “Do you mind if I eat a little?" he asked Billboard magazine last month during an interview. "I'm trying to gain a lot of weight. It means I have to eat every couple of hours—and I'm terrible at eating a lot."